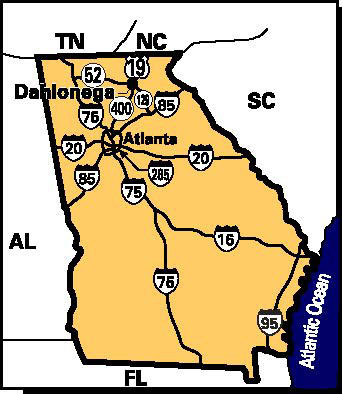 From Atlanta, take GA400 North until it ends – at that traffic light turn left onto Hwy 60 & 19 North, go about 5 miles and you will be in Dahlonega. The festival venue will be the Dahlonega Baptist Church which is located just one block north off the Historic Square of Dahlonega, GA at 234 Hawkins St. We are about an hour drive from downtown Atlanta. All programs, including our Headliner Event: “Divine Daughter of the Ya-Ya Sisterhood” featuring Rebecca Wells (Saturday, March 2, 2019, 4:30 pm in the Sanctuary. Buy Tickets), and the FoxTale Book Shoppe, where Featured Author and Regional Writer books can be purchased, will held on Saturday, March 2, 2019 from 9:00am-6:30 pm only and will be held at The Dahlonega Baptist Church. Use the Google map below to get personalized directions from where ever you’re coming from.